If you missed the memo, Apple showed off new iPhones this week, but it also kept a few older models on sale—all the way back to the iPhone 7 and iPhone 7 Plus, which first made their bow back in 2016. But maybe iPhone doesn’t have to be a new new iPhone. iOS 12 drops this month with a host of useful improvements, covering everything from better augmented reality to tools for managing your smartphone addiction. And get this—iOS 12 is coming to every iPhone all the way back to the iPhone 5S from 2013. 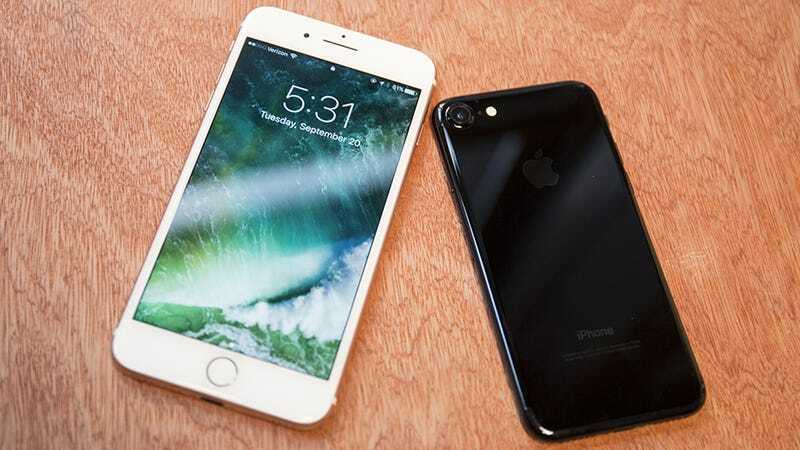 You’re not missing out on most of the latest software innovations by picking up an iPhone 7 or an iPhone 8. That said, there are one or two features you don’t get on older hardware, like Animoji and Messenger’s face stickers (which need a top-end front-facing camera), but the vast majority of the features that are available in iOS 12 are going to work just fine on the iPhones from 2016 and 2017 and even further back. Sure, screens and apps might flip by a little faster on the very latest silicon, but it’s not going to be a hugely noticeable difference (we still use an iPhone 7 Plus which functions perfectly well). What’s more, if you go back to the iPhone 7 or the iPhone 8, you know you’re still going to get the latest iOS updates for a few years yet. Everything is relative to the price you’re paying—the iPhone XS Max is undoubtedly the biggest and most well-built and fastest iPhone ever, but is it also the best value iPhone of 2018? Even if you’ve got the money to afford it, could that money be better spent? (You might save enough for a new Apple Watch Series 4). Let’s break down the prices as they currently stand on the Apple site. A 4.7-inch iPhone 7 can be yours from $449 (with an admittedly paltry 32GB of storage) or $549 (128GB). Go up to the 5.5-inch iPhone 7 Plus and you’ll need to part with $569 (32GB) or $669 (128GB). The 4.7-inch iPhone 8 will set you back $599 (64GB) or $749 (256GB), with the 5.5-inch iPhone 8 Plus prices set at $699 (64GB) and $849 (256GB). From the iPhone 8 Plus it’s not a huge jump to the “budget” 6.1-inch iPhone XR—yours for $749 (64GB), $799 (128GB), or $899 (256GB). Then you have the 5.8-inch iPhone XS at $999 (64GB), $1,149 (256GB), or $1,349 (512GB), and finally the 6.5-inch iPhone XS Max at $1,099 (64GB), $1,249 (256GB), or $1,449 (512GB). To put those figures in slightly different ways: You can bag three 32GB iPhone 7 phones and still have change for the same price as one 512GB iPhone XS Max. Perhaps a fairer comparison is across the 256GB models—starting with the iPhone 8, you pay an extra $150 for the iPhone XR, an extra $400 for the iPhone XS, and an extra $500 for the iPhone XS Max. That makes the iPhone XR seem decent value, less so the other two. Apple is keen to emphasize the speed increases with each successive version of the iPhone—the latest A12 Bionic chipset is 15-50 percent faster and more efficient than its predecessor, the A11 Bionic (in the 2017 iPhones); that in turn was 25-70 percent faster and more efficient than its predecessor, the A10 Fusion (in the 2016 iPhones), and so on. We don’t doubt Apple’s technical claims but how much benefit do you really get in terms of actual day-to-day performance? Most everyday apps seem to open at more or less the same speed down the last two generations, and while the difference between successive years shows up in benchmarks, as far as real world use goes the gaps don’t appear to be substantial most of the time. For the demands of video editing, high-end gaming and anything involving the neural engine (introduced in 2017)—like intensive image or speech processing—the differences are likely to be more significant between generations, but maybe not so significant that it’s worth several hundred of your hard-earned dollars. If you want a phone that’s fast rather than super-fast, the iPhone 7 and iPhone 8 handsets are still very much worth considering. That extends to the cameras too: Newer iPhones have better cameras for sure, and Apple has several slide decks to show why, but the question is how much better? We haven’t got our hands on the 2018 handsets yet, but we can tell you that the iPhone X hit 97 on DxOMark compared with the 88 of the iPhone 7 Plus using the same tests. It’s here perhaps that more money is actually well spent, but they aren’t worlds apart. The Unlockr did a comprehensive camera test between the 2015-2017 iPhones so you can take a look for yourself: While the photos on the newer phones are undoubtedly better, especially in trickier lighting conditions, the photos taken with the iPhone 7 Plus and iPhone 6 Plus are hardly disastrous and are pretty decent too. If you’re not a professional Instagrammer, the older iPhone 7 and iPhone 8 models certainly won’t let you down. Face ID is slick and secure, we wouldn’t argue against it—we’re just not sure it’s worth a $300+ markup on the price. Stick to the iPhone 7 and iPhone 8 ranges and you can carry on with Touch ID, which also happens to be slick and secure, and also works when you’re picking up your phone and looking in the other direction. It’s not that we dislike Face ID at all, it’s just that we think Touch ID is perfectly fine, even if Apple obviously considers it an outdated technology now. With the OnePlus 6T and Galaxy S10 both rumored to be arriving with in-screen fingerprint scanners, it’s going to be interesting to see if Apple leaves Touch ID in the tech trash for good. Another feature you can probably live without, even if you think you can’t, is Animoji (and Memoji). These cute cartoon characters and self-portraits are exclusive to the iPhone X and later, because of the advanced front-facing camera tech required, and while they make for an entertaining distraction, you don’t really need them—install Bitmoji instead, if you really must.